Overview: The most recent communications solution offered by NEC, SV9000 family has different platforms to offer to businesses of all size, to maximize the teams’ efficiency. Smart communication, quicker and better team decisions, and efficient response to customers, this series of communication platforms help you boost your business! 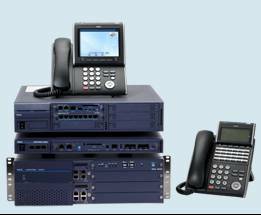 Univerge SV9000 communication platforms: Providing enhanced technical features, UNIVERGE SV 9000 servers work accurately with your business size and workstations.